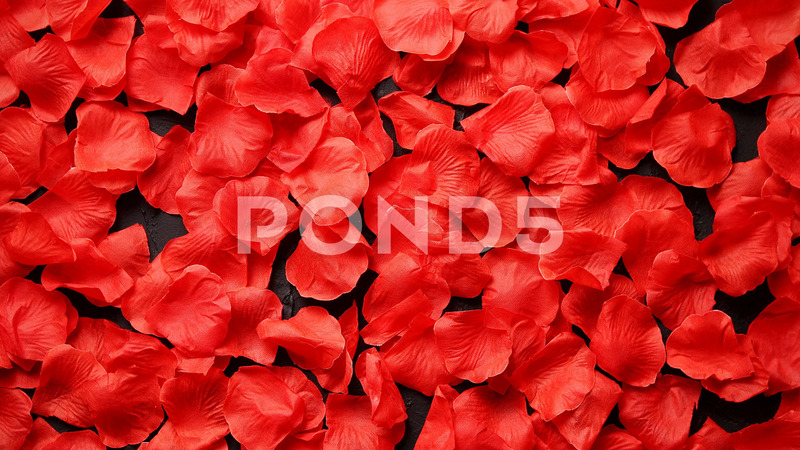 Description: Background of beautiful red rose petals. Valentine Day or Love concept. Top view with copy space.